We’ve been invited to bring two GeoDome systems to the American Astronomical Society conference this week in DC. We’ll be in Booth 200 with a GeoDome Theater, showcasing World Wide Telescope and the newly available OpenSpace platform – both enabled for dome display with WorldViewer. On the way in, attendees will interact with our GeoDome Globe at registration, showing up-to-the-minute mission data with NASA JPL’s Eyes on the Earth. We are honored to partner with AAS to showcase these accessibly priced platforms, new ways the GeoDome can help further the AAS mission to enhance and share humanity’s scientific understanding of the universe. We’re particularly excited to showcase OpenSpace, in partnership with the American Museum of Natural History. It’s a NASA-funded open-source software, designed to visualize the entire known universe and portray our ongoing efforts to investigate the cosmos through NASA’s Digital Universe Atlas – and, like World Wide Telescope, it’s free. 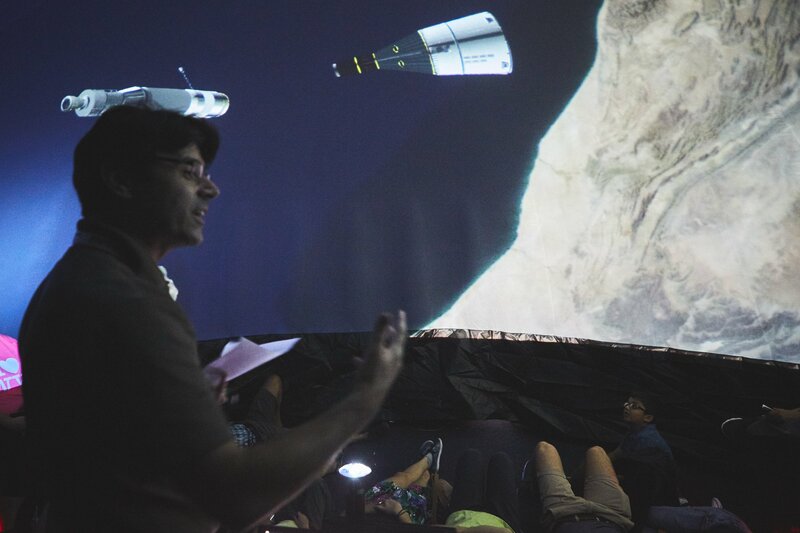 Carter Emmart, AMNH’s Director of Astrovisualization, will be presenting dynamic simulations via interactive volumetric rendering, live in the GeoDome at AAS. OpenSpace also supports networked domecasts, creating shared experiences for worldwide audiences. Planetarians at last fall’s Pleaides conference in St Louis may have seen Dr. Emmart presenting OpenSpace in the GeoDome, live from the museum in New York. As the list of software platforms enabled by WorldViewer grows, the network of 70+ GeoDome users gain more dynamic tools for for Earth and Space science education. Drop us a line to find out more! The 231st meeting of the American Astronomical Society takes place January 8-12 in Washington, D.C.